From Kazan to Ufa there are so many options to soak up the country’s unrivaled dance culture. The ballet companies of Moscow’s Bolshoi Theater and the Mariinsky Theater in St. Petersburg are known the world over. But similarly exciting productions can be found on other Russian stages in other less familiar cities. Here are the best of the rest. Despite being located in Moscow, the theater has always remained on the sidelines. A year ago the star of the French Opera Ballet Laurent Hilaire was invited to lead the company. He has cut the number of old multi-act productions and gone for the diversity of the new: For the first time the theater has put on Balanchine (Serenade) and Forsythe (The Second Detail); Hilaire has introduced the Frenchman (of Ukrainian origin) Serge Lifar (Suite en Blanc), modern dance choreographer Paul Taylor (Aureole), and Swedish dancer Alexander Ekman to Russian audiences. Hilaire has backed young dancers and, above all, Oksana Kardash - unique in her range of ability. Mastering their skills alongside her are Ksenia Shevtsova, Erika Mikirticheva, and Zhanna Gubanova, and their partners Dmitry Sobolevsky, Sergey Manuylov, Ivan Mikhalev, and others. The Perm Ballet Company, comprising 90 dancers, still occupies an old, cozy theater built in the mid-19th century. 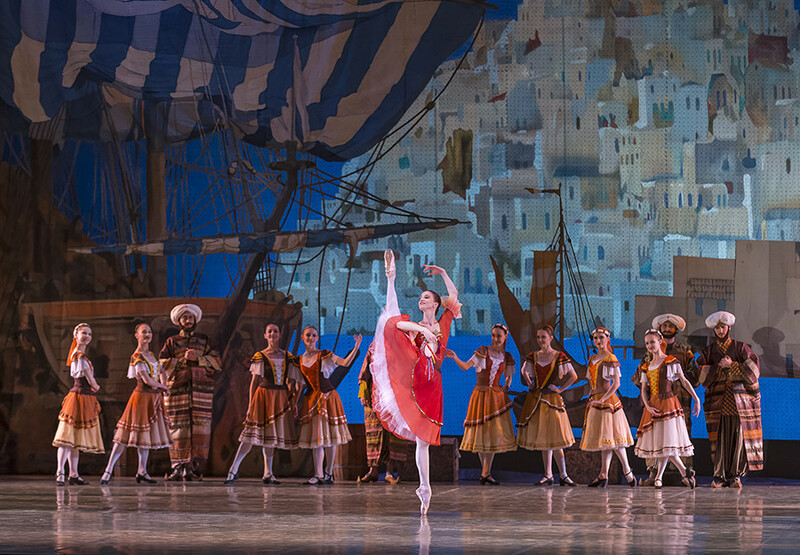 Despite the small stage, its repertoire includes almost all of the Russian classical ballets. At the end of the last century, the Perm theater overtook the Russian ballet capitals in mastering the heritage of George Balanchine and Jerome Robbins - about two dozen of their ballets have been staged here, and recently the theater has actively embarked on ballets by the British choreographers Frederick Ashton and Kenneth MacMillan. Alexey Miroshnichenko from St. Petersburg, who has previously staged productions at the Mariinsky Theater and New York City Ballet, is the theater's principal ballet master. The uniquely-balanced repertoire attracts not only ballet lovers from Moscow and St. Petersburg to Perm but also ballet stars - Diana Vishneva is collaborating with the theater and Natalia Osipova, prima ballerina at the Royal Ballet in Britain, also has the title of prima ballerina at the Perm Theater. Yekaterinburg has recently become a magnet for ballet lovers after Viacheslav Samodurov became the company's artistic director. He’s brought to the Urals his experience as a former principal dancer at the Dutch National Ballet and Britain’s Royal Ballet. To him ballet means a constant search for new possibilities of classical dance. At the same time Samodurov, who was previously with the Mariinsky Theater, knows the value of the Russian ballet heritage. 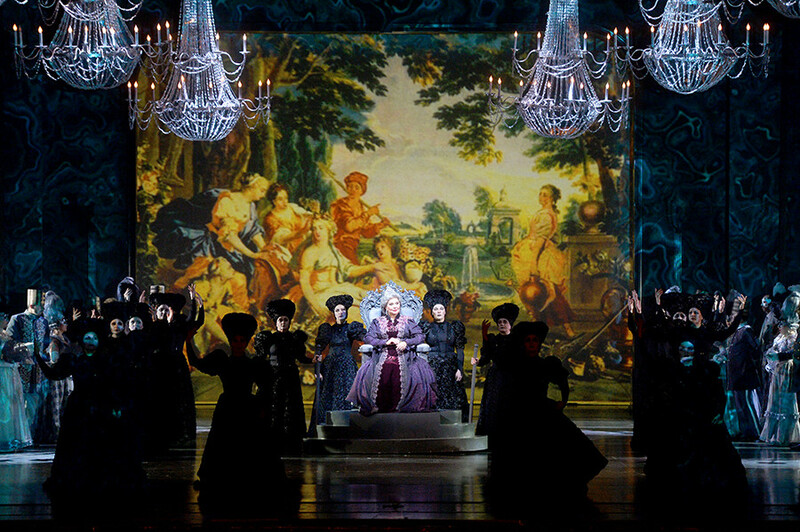 He has resuscitated the local company by exposing it every year to productions as diverse as revivals of the St. Petersburg versions of Giselle and Swan Lake, and the first Russian productions by neoclassicist Hans van Manen and the modern dance masters Sol León and Paul Lightfoot. But the Yekaterinburg Theater has earned a preeminent reputation thanks to Samodurov's original productions. His Romeo and Juliet, Salieri Variations, The Curtain, and Cantus Arcticus have amassed a unique collection of theater awards and his ballerina Elena Vorobyeva, in competition with Bolshoi and Mariinsky prima ballerinas, has won the most prestigious individual Russian theater award. This is the theater where Soviet dancer Rudolf Nureyev saw his first ever ballet as an eight-year-old. That night the theater was showing Songs of the Crane - the Bashkir version of Swan Lake staged by the Leningrad choreographer Nina Anisimova. This was the way opera theaters used to be set up all over the USSR: Experienced masters from the Bolshoi and Mariinsky were sent to major cities where they would stage productions based on local tales and legends, combining classical ballet with folk dance. Ufa was the last city in the USSR to open its own choreographic school. Hence today the theater has a unique corps de ballet, the unity of which is nurtured from the moment a child walks through the door of a ballet class for the first time. At the same time Ufa is proud of its St. Petersburg roots, which are still alive thanks to Leonora Kuvatova, a graduate of the Vaganova Academy of Russian Ballet (many people don't realize that they already know her indirectly - from a recording of one of the Academy’s graduation performances, at which she was Mikhail Baryshnikov's partner). Kuvatova is in charge of both the ballet company and the school in Ufa. And Songs of the Crane is back in the repertoire this year. The Kazan Theater combines European trends and ethnic tradition. And this is reflected in its repertoire which includes Swan Lake, Don Quixote, and La Bayadère alongside the Shurale folktale and the pseudo-historical Golden Horde. The theater's main current attraction is its prima ballerina Kristina Andreeva. She fully complies with modern criteria of ballet beauty: Tall and elegant, she has a big step and a light leap, and has no problem doing 32 fouetté turns or leaping in complex dance lifts. The theater in Krasnoyarsk opened only in 1978 and the Bolshoi Theater immediately took it under its wing. In 1998 Sergey Bobrov, a soloist of the Bolshoi Theater, was invited to come to Krasnoyarsk. 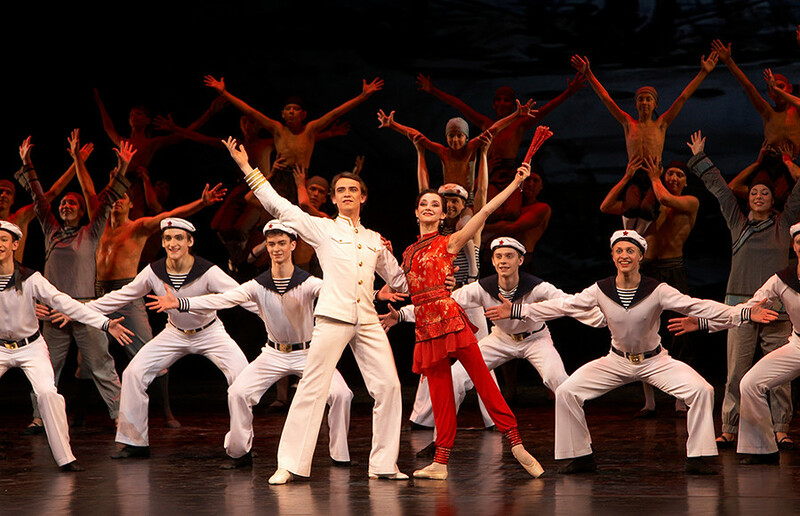 As choreographer, he has created an interesting repertoire over the past 20 years, including The Tsar-Fish, a ballet based on the novel by Viktor Astafyev, the author of Soviet classics. 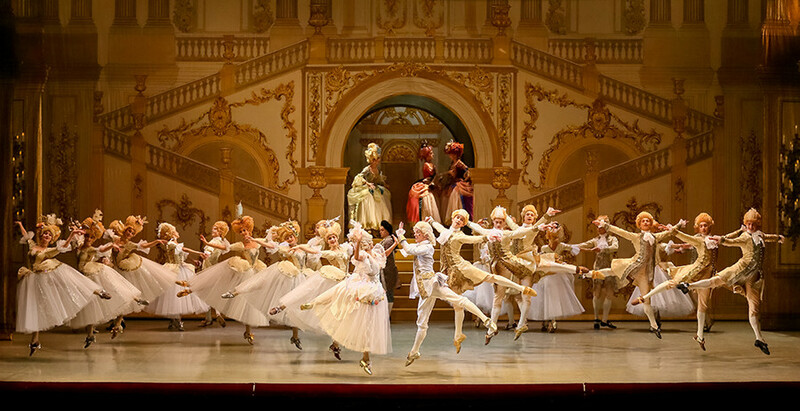 The theater shows a large number of Russian ballet classics in Bolshoi Theater adaptations. If you’re lucky, you might even see Spartacus, Yury Grigorovich's legendary production (Bobrov was his pupil). 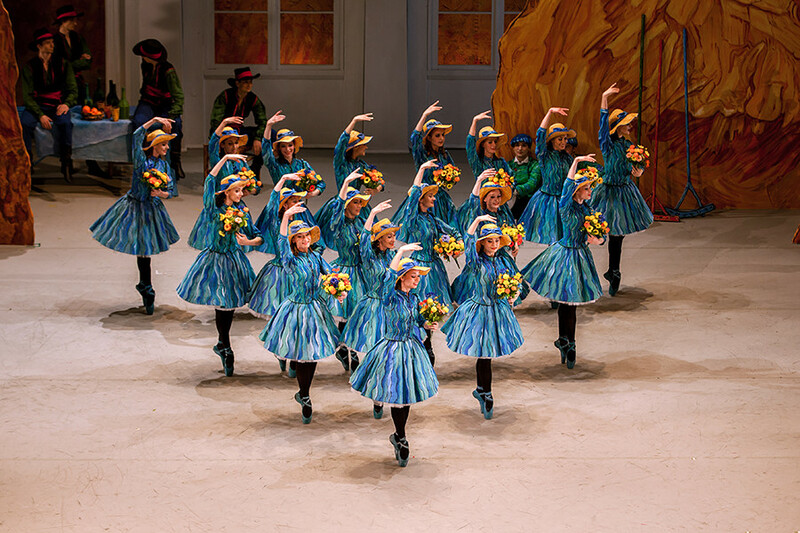 But this may prove difficult - like the Kazan ballet, the Krasnoyarsk Theater tours abroad for months every year.